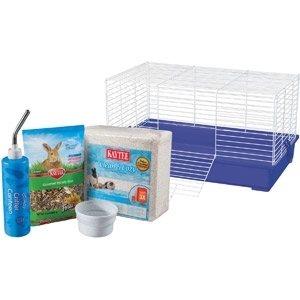 This complete kit surrounds your rabbit with all the comforts of home. The roomy chew-proof wire cage has an easy to clean plastic base that helps keep your pet's bedding in the cage and not scattered on the floor. 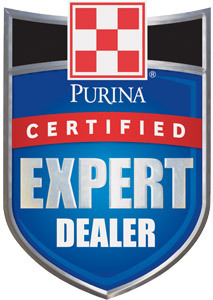 Also included are Kaytee Fiesta Rabbit food, Kaytee Clean & Cozy small animal bedding, and a water bottle. The simple snap-together set-up requires no tools.